Happy Sunday! How's the weekend treating you? Me, I had a nice massage at The Spa care of our friends from Cream Silk! They launched the new Cream Silk Perfection Hair Care system and I'll share more about it soon! "Instant noodles in Japan is also expensive!" Those are some of the sentences that made me and Mr. AMW pause our dream to travel to Japan for years! Whenever we spoke to friends or relatives who have been to Japan, I always hear them complain on how expensive it is to travel to Japan. I won't lie --- it is expensive to travel! Not only in Japan but to any parts of the world! In every travel, I guess all we need to do is stick to the budget and keep that watchful eye! You will definitely find something worthwhile! Back to food, we were quite lucky to have breakfast included in our hotel stay plus the free Ramen every night! 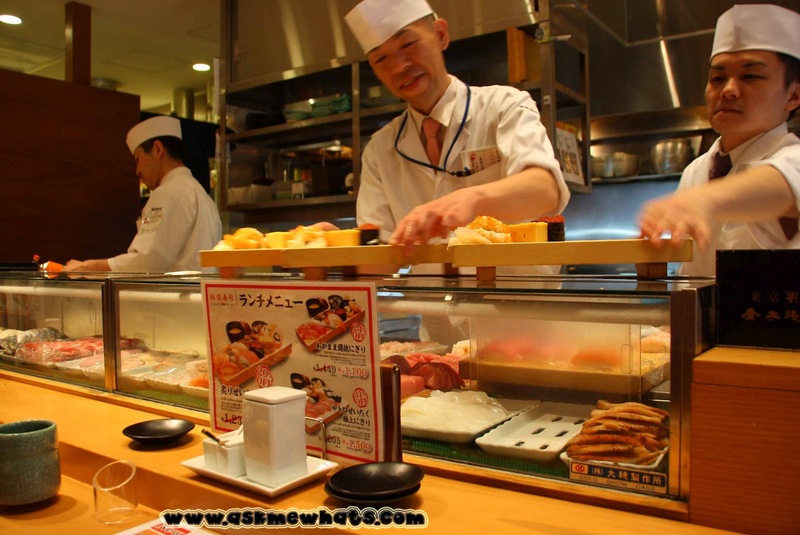 I focused on the top 3 things I would like to try in Japan (aside from Takoyaki) --- Sushi, Noodles and Tonkatsu! I am happy to report --- Mission Accomplished! Sushi seems pricey in any parts of the world! Thanks to my colleague who introduced this restaurant! Yes! They have English Menu! We waited a bit for our table to be ready as it was lunch time and most working people are on a rush to have their lunch! 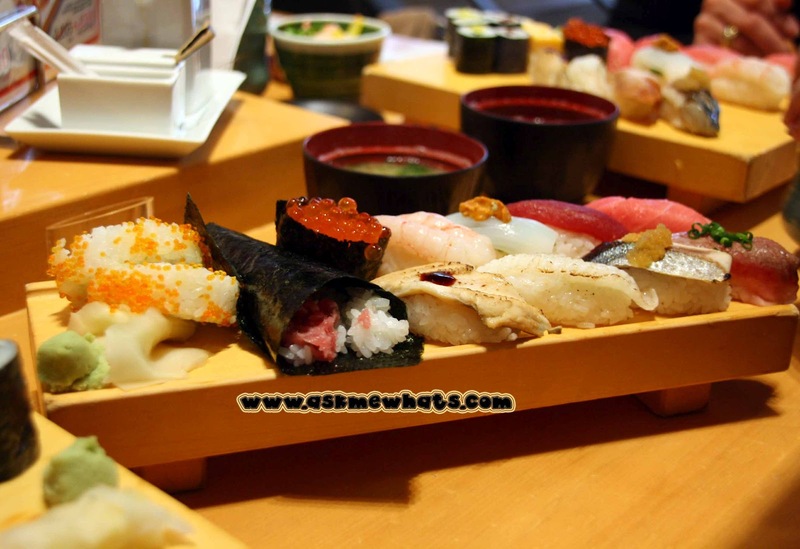 It doesn't hurt that this restaurant have Sushi sets for 20% off! 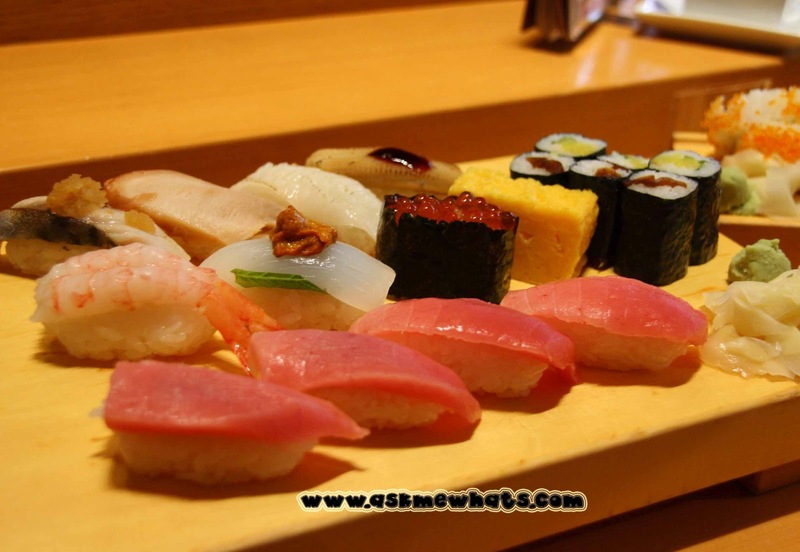 Sushi freshly made right in front of you! and of course, unlimited serving of Japanese tea! This is the most fresh sushi I've had in my entire life! I chowed down one after the other and I don't want to stop! I am not exaggerating, it was THAT delicious! 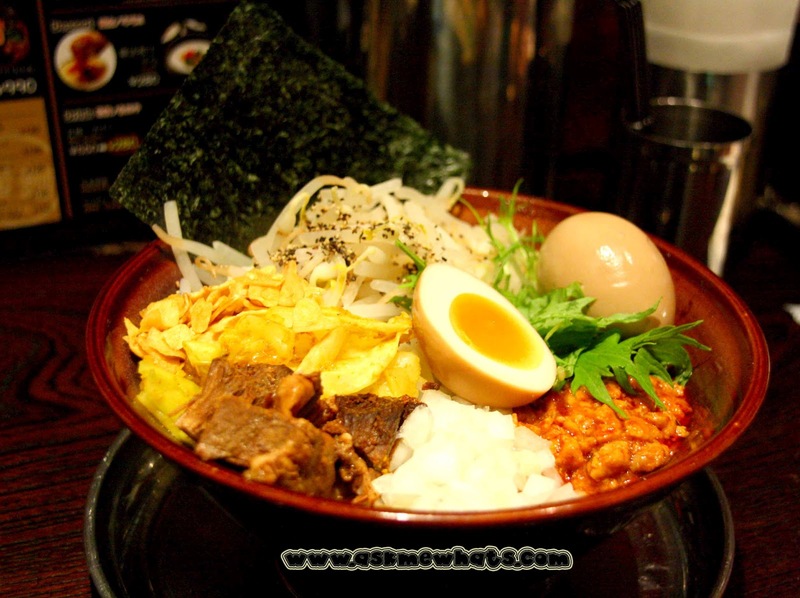 **The restaurant is located at Akasaka Mitsuke a few walk after the subway station exit. The restaurant do not have English menu but they have "pictured" menu! Which is good enough for me! The waiter is super friendly and I even had to take him outside of the restaurant to point at the giant poster of the noodles I want to try! *HAI*! Though the space is tiny, Japanese are innovative, they even thought of creating a space for your bags or other belongings! I can't even finish my bowl of noodles! 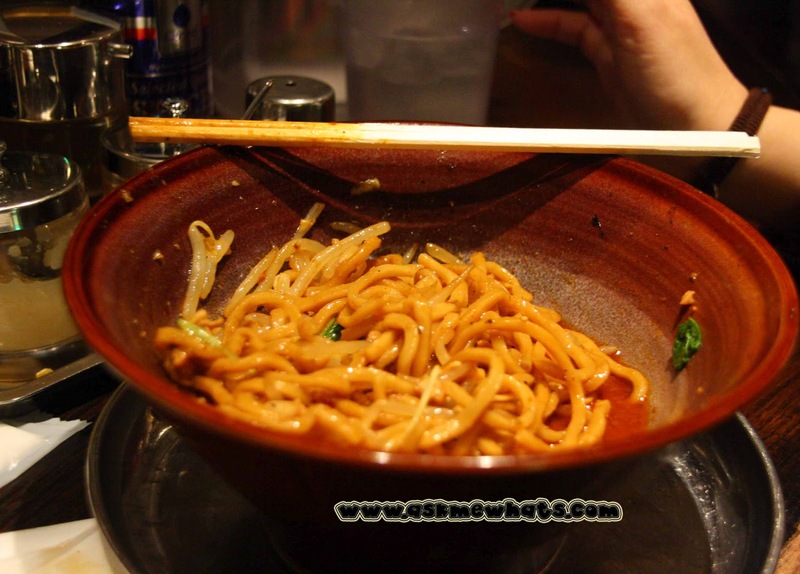 Noodles just kept multiplying! *laughs* Seriously, I find the price of the meal we had is quite reasonable for the amount of food we get! **The restaurant is located on the topmost floor of Yodobashi, Akiba. Last but not the least, I nearly gave up! I thought I won't be able to try the famous Pork Cutlet meal that goes "oh so well" with shredded cabbage! The restaurant is located at the Tokyo Metro Station but it looks like a posh restaurant at Greenbelt! Good news to travelers, English Menu is available in this restaurant!!! Comes with lemon and sauce! 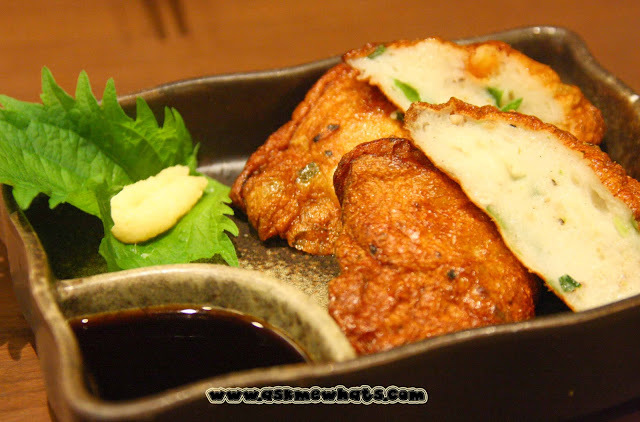 I enjoyed munching this as an appetizer and they are indeed very crunchy and tasty! Locally, this is comparable to "kikiam" but this one is less salty and the texture is smoother! It comes with soy sauce and I enjoy eating this with hot cup of rice! The rice was an extra order, the set comes with miso soup with clams plus a tiny salad, nice serving of pork tenderloin and loads of shredded cabbage that's refillable! In our country, the cabbage could just be there for decoration to most of us, but the right way to eat this (according to experience! hahaha) is to grab a small piece of Pork Tonkatsu together with shredded cabbage, dip a bit of the thick Worcestershire Sauce available on each table and take ONE BIG BITE! The tender juicy warmth taste of the pork mixed with the cool cabbage gives a wonderful "fireworks" inside the mouth! The cabbage is full of fiber so it will help reduce the absorption of fat, at the same time, Cabbage can counteract the fatty taste that we tend to dislike each time we eat some deep fried dishes! 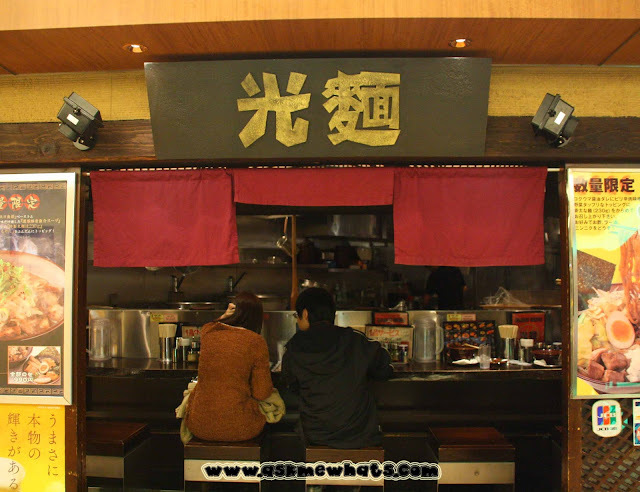 **The restaurant is found at Tokyo Character Street, Tokyo Metro Train Station. 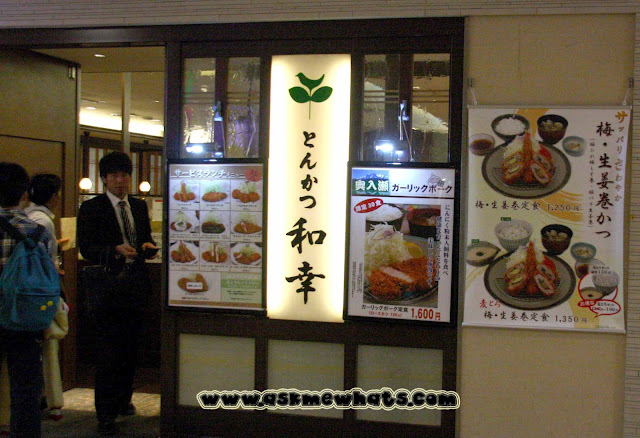 I do not have the English name of the restaurant so I'm posting the photo of the exterior of the restaurant below! Hope this help! Which among the 3 restaurants would you like to try? 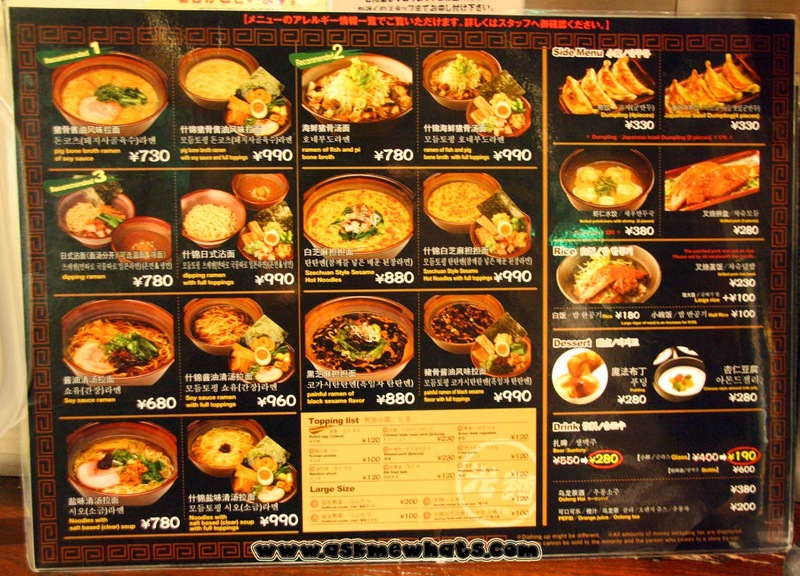 authentic Japanese food :)) yummy! Super authentic and super delicious!!! The price ain't that expensive naman! Ang galign niyo maghanap ng restaurants. 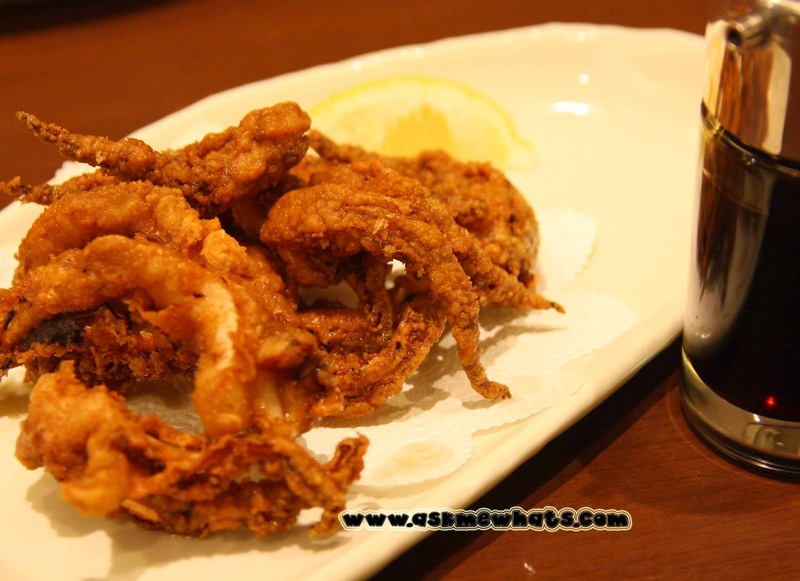 The squid tentacles looks appetizing! Oh gosh, I was literally drooling through the whole post haha...I would love to eat sushi in Japan. I bet there's a big difference. And for sure they have the best ramen. Gosh, I love ramen too!!! Have a great week! YES YES YES! I can't believe how delicious it could get!!! I'm drooling right now too!!!! 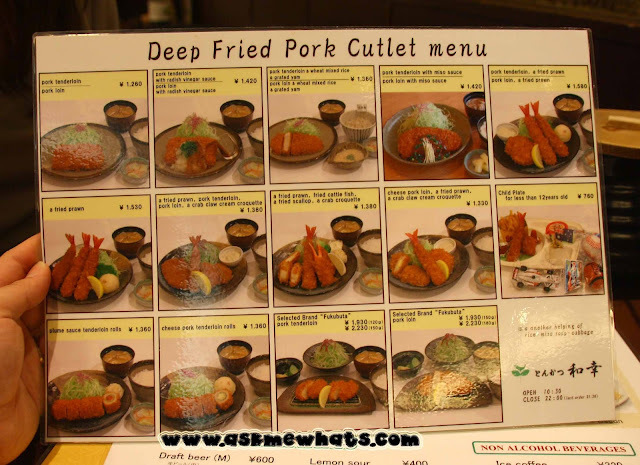 wow serious food trip! wanna try the sushi set looks so indulging!